Jesus is Jehovah. Thomas confessed to the resurrected Christ, “My Lord and my God” (John 20:28). Jesus accepted that confession of faith in Him. “No one can say, ‘Jesus is Lord,’ except by the Holy Spirit” (1 Cor. 12:3). Indeed, no one can become a Christian unless he confesses “with his mouth, ‘Jesus is Lord,’ and believes in his heart that God raised Him from the dead” (Rom. 10:9). In the Greek translation of the Hebrew Old Testament, the Septuagint (LXX), the word kurios is the regular word used to translate the Hebrew name for God: Yahweh, Jehovah, or LORD. The word Lord (kurios) was the equivalent of the name of God. At least 150 times in the New Testament it is used of God. The Old and New Testaments alike constantly use kurios for God. This is why most of our English Bibles do not use the name Yahweh or Jehovah but have the LORD or Lord instead. The disciples and the early church knew that great name of God and therefore did not hesitate to declare that Jesus is Jehovah, Yahweh or Lord. 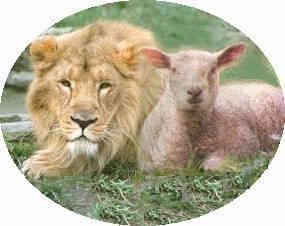 The apostle Paul declared that there is one God who is one with Jesus (1 Cor. 8:6). “There is but one God, the Father, from whom all things come and of whom we live; and there is but one Lord, Jesus Christ, through whom all things come and through whom we live.” The parallelism in this statement makes the identification between God the Father and Christ plain. When Jesus was born in Bethlehem, the angels proclaimed that it was “Christ who is the Lord” who was born (Lk. 2:11). Jesus is given the “name that is above every name”—the name “Lord” (Phil. 2:8-11). In the first Christian sermon delivered by Peter at Pentecost, Jesus’ lordship is made central to salvation (Acts 2:21, 36). Jesus Christ is my Lord and Savior. That is the greatest testimony anyone can ever give. Has He become your Lord and Savior? The creed of the early church was “Jesus Christ is Lord” (Phil. 2:11). The test of salvation is that Jesus Christ is Lord (Rom. 10:9). Only the Holy Spirit can lead a person to say that Jesus Christ is Lord (1 Cor. 12:3). The early church preached Jesus Christ is Lord (2 Cor. 8:6). There is only one Lord Jesus Christ (1 Cor. 8:6; Eph. 4:5). Therefore there is only one name given among men by whom you can be saved (Acts 4:12). The Roman Empire used the words “Caesar is Lord” to embody the Roman Empire in one man, the Emperor. Caesar worship became compulsory throughout the Empire. It held the Empire together. Every man had to go to an Empire shrine and burn a pinch of incense to the image of the Emperor and say, “Caesar is Lord.” It was a test of loyalty to the Roman Empire. After the person did that, he could go away and worship any god he so chose. However, he had to prove his loyalty by declaring, “Caesar is Lord.” That is precisely what the Christians refused to do. For them only Jesus Christ could be Lord. Nothing could force them to say, “Caesar is Lord.” They chose to die the most terrible, agonizing deaths imaginable for their faith in Jesus Christ who is the Lord. The aged Bishop of Smyrna refused to yield to the demands of the Empire and paid the ultimate price on February 22, A.D. 156. Two city officials pleaded with Polycarp to comply with the demand to declare, “Caesar is Lord.” They said, “What harm is there in saying, ‘Caesar is Lord,’ and burning a little incense . . . and saving yourself?” As the fires were lighted at his feet and began to rise up around his body he declared, “For 86 years I have been Christ’s slave, and He has done me no wrong: how can I blaspheme my king who saved me?” The reason Polycarp refused to call Caesar Lord was because “Lord” (kurios) meant God, and there can be no other god in the life of the Christian. Jesus Christ alone is Lord! It is significant that the emphatic, insistent form is used in the declaration, “King of kings and Lord of lords” at a time of the demand for Caesar worship under Domitian (Rev. 17:14; 19:16).